Having traveled around many parts of the US growing up, one area I had never been to was the wondrous Southwest. Having heard of Bryce and Zion parks and being an outdoor enthusiast, I had wanted to see them for some time, but the opportunity had never presented itself. I had skirted the region on several occasions in the past, attending the Rainbow Family Gathering in northern Nevada one year, traveling down the California coast on numerous occasions, or popping into Salt Lake City and Denver by plane, but I had not moved across these states drinking in their natural beauty as you only can from traveling close to the ground. As has happened in my life when I stay open to the possibilities, an opportunity presented itself. My parents had planned and booked a week long raft trip of the Grand Canyon for themselves, my siblings and our significant others for the fall of 2014, after having done the same trip four years earlier and thoroughly enjoying it. Since these types of trips are planned well in advance, the reservations were made at the same time we started planning the “Big Trip,” so we had to work out how we were going to take advantage of the once-in-a-lifetime raft trip AND begin our European adventure. In the end, we decided to make a one way road trip from Washington state to Flagstaff, AZ, for the raft trip, then continue on to the Denver area where we have family and make that the jumping off point for Europe. This turned out to be a serendipitous choice for a number of reasons. Starting our adventure in this way allowed us to visit members of Tammy’s family to say our farewells, travel the Southwest to a variety of “points-of-interest”, and then visit my family members as well, including my 90+ year old grandmother, who has been a significant part of my life as well as Tammy’s and Mali’s. This plan was also to pay additional unforeseen dividends that we had not imagined. This leg of our journey began when we left Boise, ID after a week with Tammy’s mom and stepdad. 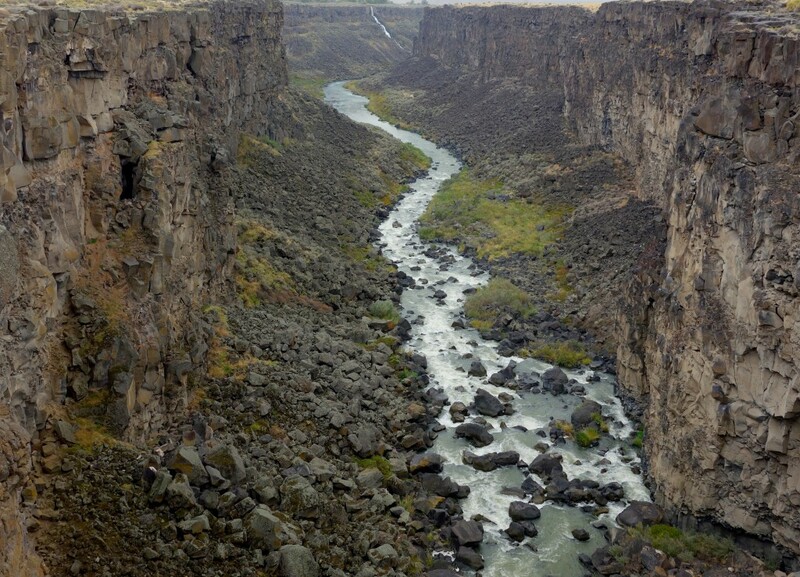 Driving east and south on I-84 took us over the Malad Gorge, a deep canyon that snuck up on us as we flew across the plains. The State Park made an excellent lunch stop that provided spectacular views and a glimpse into the volcanic history of the landscape. Its water-carved landscape unknowingly foreshadowed much of the next several weeks of our trip. Gliding south into Utah, the landscape takes on a grandeur as the hills morph into mountains. Just a short distance after Salt Lake City, American Fork seems just a suburb of Utah’s biggest city, and turning East we hit a wall of mountains that seemingly jutted straight out of the ground, but provided passage via a narrow canyon that wound upward into this wondrous landscape. The destination of this excursion was the Timpanogos Caves National Monument, which contains unique limestone formations. 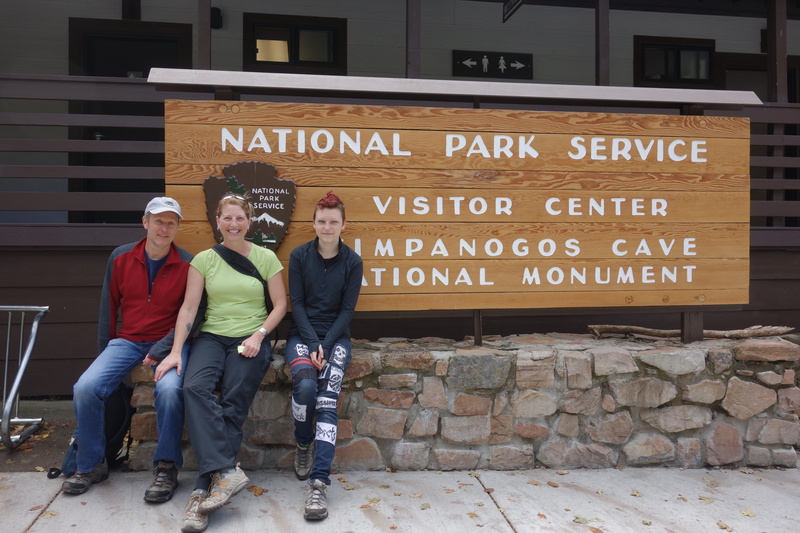 We checked-in for our reserved tour, which required a steep 1.5 mile hike up the canyon side to the cave entrance. The wise Forest Service staff have you check-in early to allow plenty of time to make the ascent, which in addition to being strenuous, affords many vistas from which to appreciate the grandeur of the canyons. 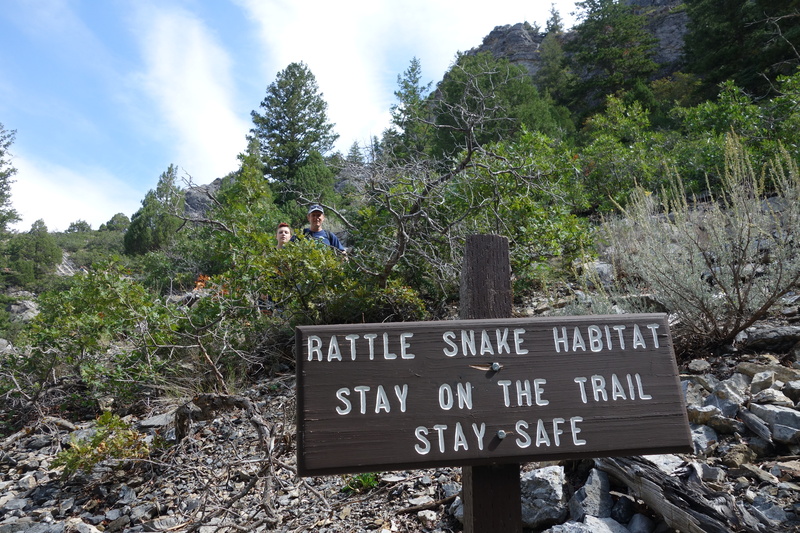 Aaron and Mali really are on the trail, and no, we didn’t get to see any rattlers! The caves were discovered by a local rancher following a mountain lion in 1887. He must have been one rugged guy to chase something up those hillsides, and that mountain lion must have been one impressive specimen as there were remains of buffalo and other large ungulates discovered in the cave opening that had been carried there by him. 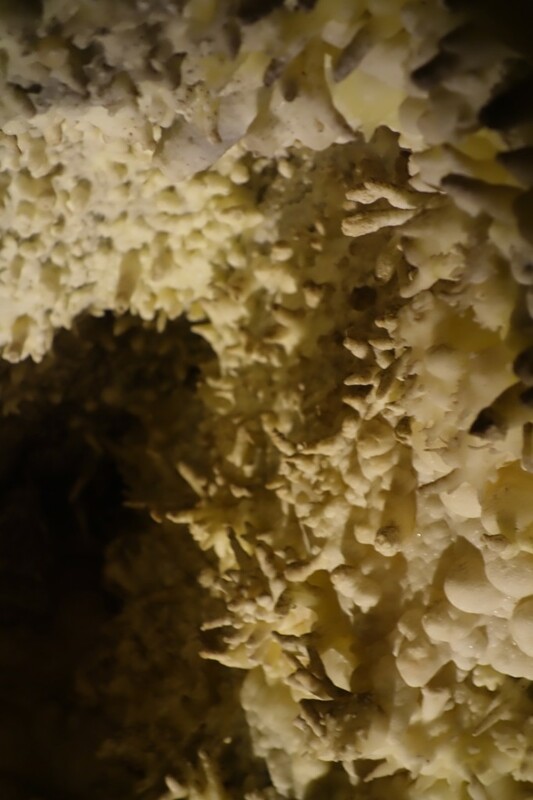 The one-hour tour takes you through three caves that were joined together through human intervention. They provide a glimpse of the inner workings of the mountains as time and water erode them to form hollows within, and according to our guide, these same conditions exist throughout the canyon, so there are likely many more caves in the area waiting to be discovered and explored. 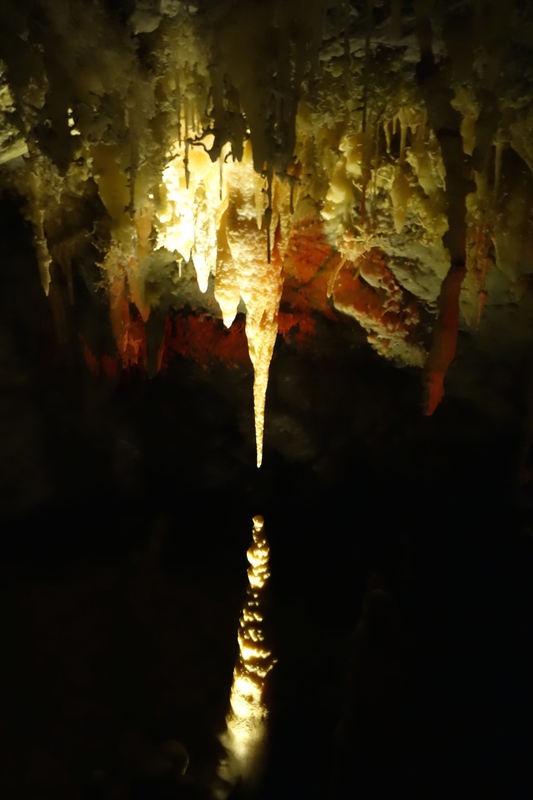 If you are in the area, Timpanogos Caves National Monument and the American Fork Canyon are definitely worth a visit.